This unpleasant condition can be triggered from a multitude of causes. Therefore itchy scalp home remedies will prove to be the best ideas to ameliorate the discomfort and also pain it might give us. 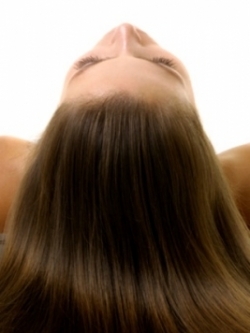 Identifying the main generating factors is the first step towards success, however these homemade treatments will also aim to restore the spotless condition of the scalp. 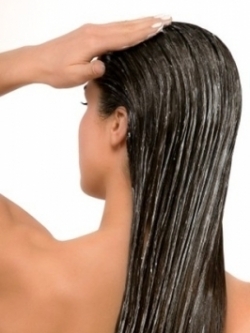 Read through the following tips for a healthy scalp and hair condition. Those who already experienced a similar condition know that facing an itchy scalp is far from being a pleasant situation. Due to the multitude of triggering causes it is important to analyze our hair care routine as well as the content of hair care products and also the external factors that might affect our health. Itchy scalp home remedies offer an emergency treatment for the discomfort and prevent the aggravation of the state of the scalp. It is essential to identify the main triggering element that can be often an allergy reaction, dandruff, eczema as well as simply the dryness. After discovering the cause it's time to take the proper safety measures. Treating our scalp with organic ingredients and freshening spa rituals is highly recommended both when suffering from similar disorders as well as as a regular nourishment for the hair and scalp. 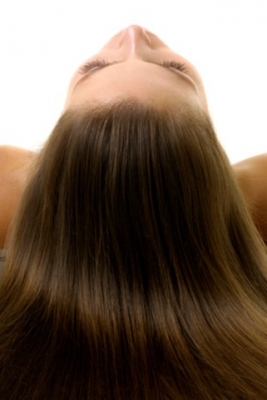 These are some of the basic remedies to cease the itchiness of the scalp. Tea Tree Oil: Make sure you have a similar miraculous ingredient in your bathroom. Used in beauty care as one of the most efficient anti-inflammatory remedies, tea tree oil can also handle the itchiness of the scalp. A similar treatment is also advisable if the main cause of the condition is allergy or eczema. These hair disorders are often joined by redness and itch. Add a few drops of this essential oil to a glass of warm water. Cleanse the hair regularly with shampoo and then pour this rinse to eliminate the unfortunate side-effects of various skin problems. Apple Cider Vinegar: Organic vinegar is used as one of the best cleansers and anti-oxidants both in skin and hair care. Due to its acidity it can easily prevent the aggravation and spreading of skin problems that might affect our scalp. In this case the ritual should be followed similarly to that of tea tree oil. After shampooing the hair, pour the tonic created from 3 tbs. of apple cider vinegar to a cup of warm water on the strands. Make sure it will tackle the scalp by massaging it into the skin. Leave the rinse on for at least 10 minutes then wash it off with pure water. However there's no need to rinse it off if you would like to have an enchanting hair perfume. Baking Soda: Treat your scalp with ageless home remedies that were tested throughout the decades. These can restore the moisture balance of the organism and would contribute to the healing process of the scalp. Itch can be also cured with baking soda, this organic ingredient which has endless health benefits. In order to include it into our hair care routine it's enough if we dilute 2 tbs of baking soda in a glass of warm water and apply it to the scalp as a rinse. It is advisable to leave it on for 10 minutes to let it exercise its effect. Meanwhile we can massage it into the scalp. Finally it should be washed of with water. 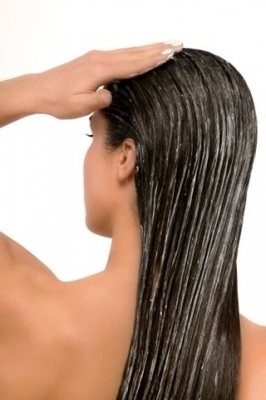 Olive Oil: This natural ingredient can be used as the perfect means to treat an itchy scalp. Beneficial both for the skin as well as hair follicles it can be used as the proper treatment for various disorders that affect our organism. Due to its anti fungal and anti-oxidant effect it can cease the unpleasant condition of the scalp. In order to get the desired effect apply an olive oil mask to your strands. Cover the dry strands and massage it into your scalp. Cover the hair for at least 10-12 minutes then finally rinse it off with lukewarm water that would dilute the oil.Repeat this procedure at least 2 times per week. Tomato Juice: It might sound surprising, however tomato juice is not only super-delicious but it can have a miraculous effect on the itchy scalp. This natural ingredient is best used in its purest form rather than as it is offered in the local store with additional elements. Therefore mash 3-4 potatoes and have their juice in a medium bowl. Pour it on your strands over the skin and massage the lotion into your scalp. Keep on with this step for at least 4-5 minutes. Leave it on for at least 10 minutes by covering your hair with an old towel or a soft tissue. Finally rinse it off with lukewarm water and use your natural shampoo to eliminate the traces of tomato juice.